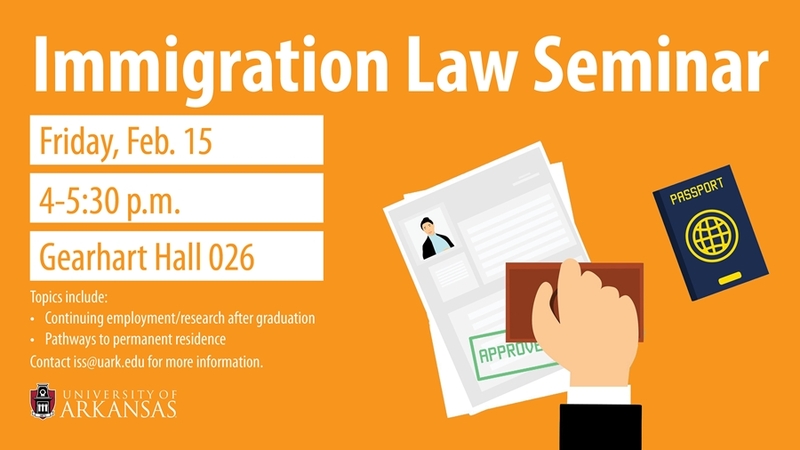 International students can learn about pathways after graduation at an immigration law seminar this Thursday. Adam Cohen from the Siskind Susser PC law firm in Memphis will lead the discussion. The seminar is from 4-5:30 p.m. on Friday, Feb. 15 in Gearhart Hall 026. Attendees can ask questions during the seminar. Admission is free and all are welcome to attend.